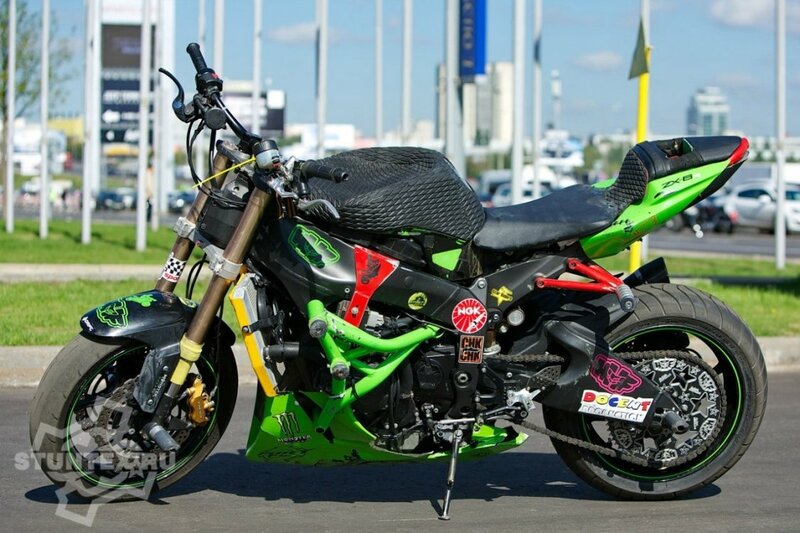 Kawasaki ZX6R 2009+ is gaining popularity among stunt riders around the world. Many top riders in Europe and the United States have been riding this model from its 03-04 version. 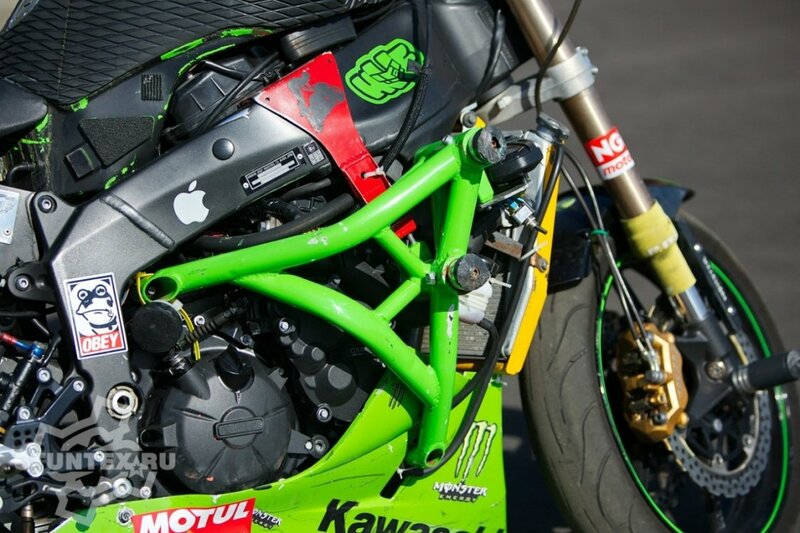 The advantages of the new Kawasaki are obvious, as well as the disadvantages. New good showa fork, excellent brakes, low weight, engine and electronics that are easy to work with, but the frame, subframe, and pendulum are fragile. 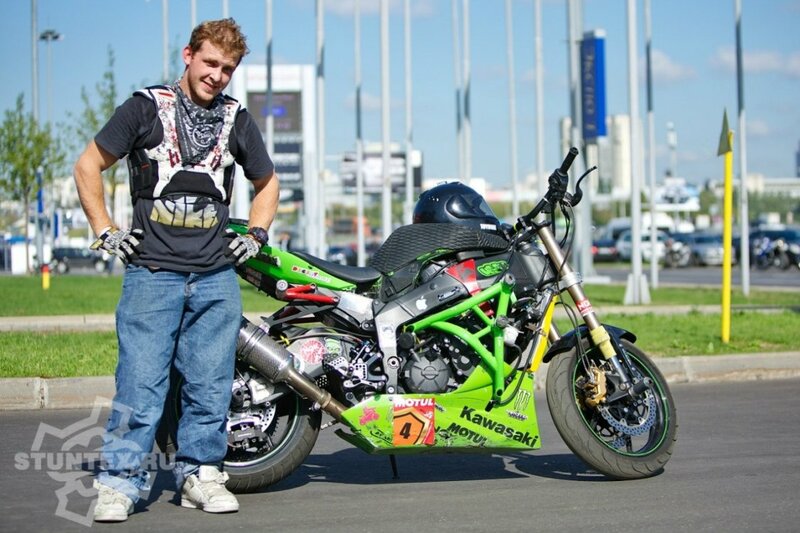 Professional riders solve problems easily by installing a steel frame, steel subframe, and a professional handbreak. And what about ride on their own to get to the riding area? Installing a steel frame makes it impossible to register a motorcycle and ride it on public roads. 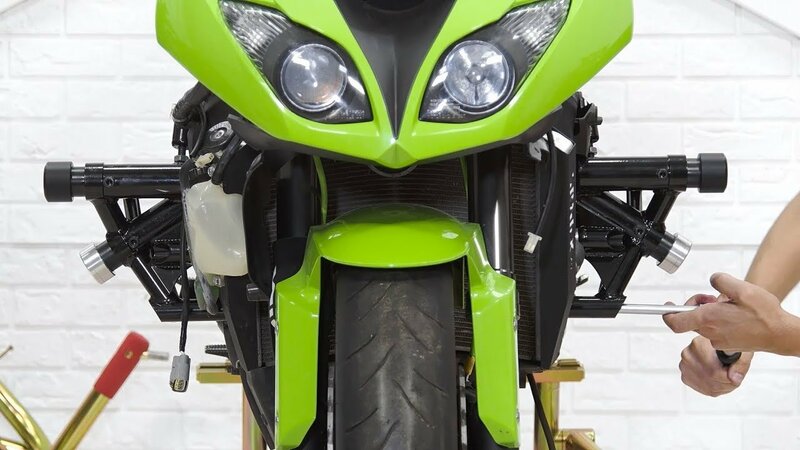 The Stuntex Mad Dog cage allows you to save the OEM frame thanks to damping sliders, which absorb most of the impact energy in the fall, and engine support brackets, which significantly unload the frame when the motorcycle lands on its front wheel, for example, from a wheelie or while jumping. The first version of the Stuntex MD cage was tested by Grisha Taldykin. During the season of regular training and shows, he had no problems with the frame. If a steel frame is mounted on a motorcycle, then there is no need for braces, so you can save money on the cage! The second version is significantly improved. The directions of the sliders have changed so that now the motorcycle would not turn over, it rides more stable. The cage has become lighter and more compact. The brackets and their fastening are reinforced and do not deform. Watch the video on the cage installation down below. Upgrade and adjustment of the side plastic are not shown in detail, because we already talked about it in our video about installing the cage on the ZX636 03-04.